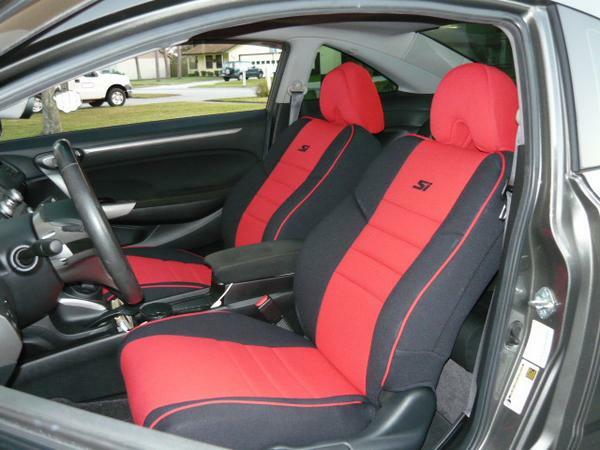 How Often Will Neoprene Car Seat Covers Need To Be Replaced? When you purchase a neoprene car seat cover, your goal is to protect your seats for as long as you can. Neoprene can help protect your leather or fabric car seats from damage due to UV rays, liquids, dirt, sand, spills, and more. But if your car seats will take this kind of beating, that means your car seat covers will too. So how often will neoprene car seat covers need to be replaced? The answer depends on a number of factors. The first factor that can come into play when it comes to the lifespan of your car seat covers, is the quality of the construction. At Wet Okole, we are firm believers in quality construction, meaning we are confident you won’t find a better neoprene car seat cover than the one we offer. With that said, we’re sure somewhere out there, is a cheap version of a neoprene car seat cover that might not be able to weather all of the challenges that ours can. The second factor that can affect how soon you will need to replace your car seat cover is the amount of use, or rather abuse, your car seat cover will take. For standard usage of your car, you can probably expect a very long life for your car seat cover. However, if you are constantly rubbing hard or sharp objects on the neoprene or spilling harmful materials on it, there’s a good chance it won’t last as long. This really holds true for any product. Finally, how well you care for your neoprene car seat covers will directly affect their livelihood. For example, if you allow your car seat covers to take all that abuse without ever putting in some care, they won’t last as long. However, if you take great care of your neoprene car seat cover, there is no reason you shouldn’t have them for very long time. We provide great products to expand the lifespan of your car seat cover. Our car seat care kit, combining our odor remover, shampoo, and UV protectant will help you keep your car seat covers like new. With proper care and responsible use, there is no reason your car seat cover shouldn’t last you for the lifespan of your car. For more information about protecting the seats of you car, visit our website or call us at 888-246-5653.